I found some fresh blueberries in the store, and I didn’t have to sell a body part to buy them! 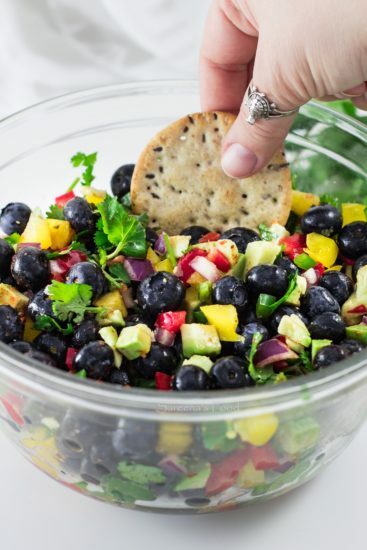 Blueberries are very versatile, as they go well with either a sweet or a savory dish! I was surprised how well it paired with the cilantro and jalapenos. It reminded me of summer, and I will be making this often to enjoy the wonderful tastes it has. 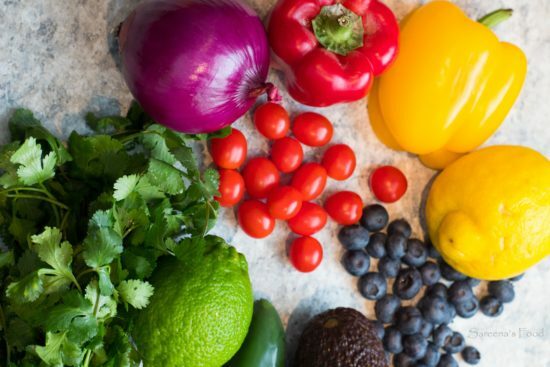 Fresh fruits and vegetables are so inviting and beautiful to look at! I mean look at it! It’s so amazingly looking. You could add more veggies if you want as well. Cube all the veggies and fruits. 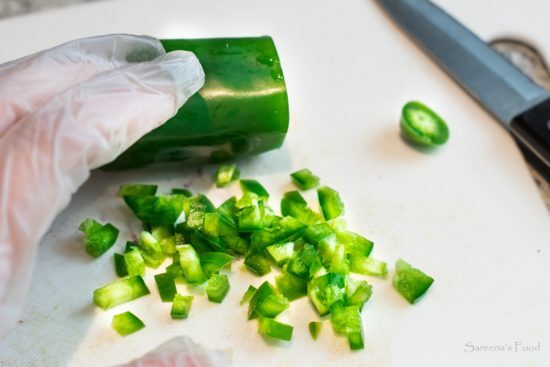 Make sure that you wear gloves when you cut up the jalapeno so you don’t get the oils on your skin. Stir everything up and let it marinate for at least an hour. 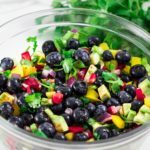 You can eat it with gluten free crackers or tortillas. Cube all the vegetables, tomatoes and the avocado. Sprinkle with chili powder and pour the lime and lemon juice over it. Refrigerate for at least 1 hour and enjoy with gluten free crackers or tortillas. I tried this and it was so good. 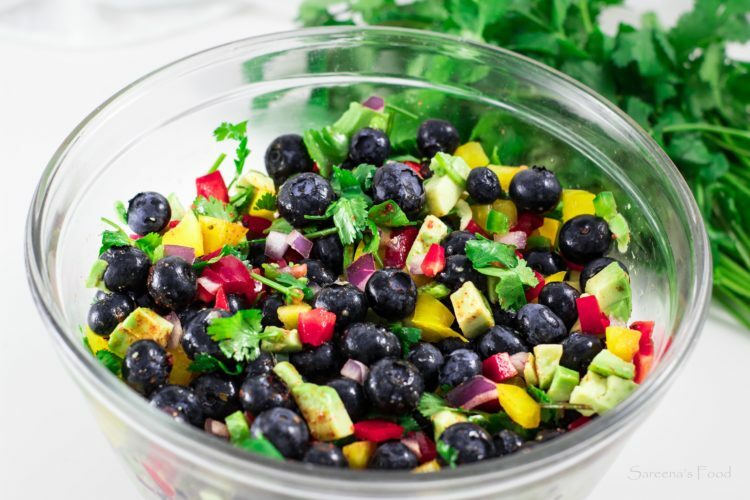 Before trying this I never expected that blueberries in salsa would go together. But do they ever go together!